In Traditional Chinese Medicine it is said that being outdoors generates Qi. Build your life force by getting out in the elements. Kick your shoes off and connect with the Earth! The number of vaccinations given each year continues to rise. In 1980 kids received 8 doses of recommended vaccinations between birth and 2 years of age. Now they are recommended to receive 28 doses by the time they are 2 and 49 for 14 diseases by the time they are 6. If children follow this schedule you need to proactively support their body in detoxing from the heavy metals. If you do vaccinate, I suggest you look into alternative vaccination schedules, such as Dr. Sear's. This article is intended to provide information on the Traditional Chinese Medicine (TCM) perspective on vaccinations and to spread the word that there are other options when it comes to preventing and fighting off communicable disease. Only you, the parent, can decide if you should or should not vaccinate your child. With the new rule proposed by the CDC to mandate vaccinations and other medical interventions as they deem appropriate (regardless of the patient's medical decisions and wishes), it is clear more conversation needs to happen around vaccinations. Other options are available. The beauty of Traditional Chinese Medicine is that it supports the health of your child either way, vaccinated or not. The Wei level is where pathogens can be easily overcome and there is no need to seek medical attention. In a healthy child, common household herbs are effective for these common cold and flu bugs. The Qi level becomes active with deeper respiratory infections that have been lingering for days or weeks. The body will continue to fight off pathogens at the Qi level when properly supported. At the Ying level the body is taxed and the pathogen can set in as pneumonia, mononucleosis and other deeper-rooted infections. At this level it is important to seek medical advice and carefully monitor progress. Finally, if a pathogen gets into the Blood level illness can affect the brain, spinal column, kidneys and other internal organs. This is the most difficult level to treat and requires a longer course of treatment. Vaccinations inject pathogens directly to the Blood level and the body’s normal defenses are bypassed. Vaccines (which are manufactured with heavy metals and other chemicals) in the blood cross the blood-brain barrier and can be devastating to some. For infants and children who are healthy and strong, their immune systems can effectively manage the immunization process. However, for those whose immune systems are not up to the extra burden, this can shock the body and lead to short or long-term consequences. Before vaccinating your infant or child, it is recommended they see a Chinese Medicine practitioner (or other practitioner trained in supporting the immune system through the vaccination process) a few weeks beforehand. Depending on your child’s health, a series of treatments before vaccination may be advised. A treatment soon after receiving the shot is important. Stimulation of acupuncture points with massage, cold laser therapy, magnets, or needles and a Chinese herbal formula to support the immune system prepares the body for the Blood level attack. This combination is extremely effective in supporting the immune system and preventing adverse reactions to vaccines. If you opt not to vaccinate your child, it is advised your child visit a TCM practitioner once every few months and more frequently during times of heightened disease or illness outbreaks. This will help the immune system stay strong and effectively fight off circulating pathogens. Herbs and other tools are important to have on hand and use at the first sign of sickness. With the recent attack against anti-vaxers, it is important to have an alternative holistic plan in place to support your little one against disease. A 2010 study available at the Kaohsiung Journal of Medicine. found that a commonly used Traditional Chinese Medicine formula, Yin Qiao San, "exerted the greatest therapeutic effect (against Influenza-A virus) in infected embryonated hen eggs and was significantly superior to ribavirin )" (a common anti-viral medicine). If you would like more information on the pros and cons of vaccines for children from a Western Medicine perspective, I recommend The Vaccine Book by Dr. Sears, which also contains a modified vaccine schedule. Whatever you decide to do regarding vaccinations, do it in faith and confidence that you are doing the right thing! Parents today have an overwhelming amount of health options to consider and the best thing you can do is get informed. Traditional Chinese Medicine is an effective and holistic approach to safeguard your child against communicable disease (for the non-vaccinated children) as well as provides protection and support detoxing for children that are receiving vaccines. By Megan Dettloff-Meyer, MSOM, L.Ac. With October being Children's Health month and October 24th Acupuncture and Oriental Medicine Awareness Day, the timing seems perfect for us at Origins Acupuncture and Wellness to embark on our mission to raise awareness and accessibility of Traditional Chinese Medicine (TCM) for pediatric patients. When people think Traditional Chinese Medicine, acupuncture needles come to mind, and most parents don’t usually think of subjecting their young child to this form of treatment! We have so many other tools to use. We rarely use needles on kids under 5 or 6, and after that it’s up to them and the parents if they want needles or not. I’ve had 2 year olds insist on having acupuncture needles as part of their treatment and loved it! This article is intended to provide information on Traditional Chinese Medicine tools used for pediatric treatment and demystify Chinese Medicine a bit. Some of our favorite tools for pediatric patients are: acupressure, tui na massage, cold laser therapy, therapeutic grade essential oils, herbal and dietary therapy based on Chinese Medicine principles and patterns of disharmony, and trace element hair analysis. Acupressure: Stimulating acupuncture points with massage, magnets, or cold laser therapy helps to balance energy flow. In TCM, the body is fueled by a network of connected energy systems (Qi) know as channels or meridians. These channels are dependent on one another in regard to energy flow and function. If one of them is imbalanced, they will all be affected which leads to further disharmony in the body and more physical, mental, and emotional complaints. Tui Na massage: Chinese-style massage involves rubbing, kneading, and percussion techniques to activate desired acupuncture meridians and encourage smooth Qi flow. Cold Laser Therapy: From the TCM perspective, low level light therapy (also known as photobiomodulation and low level light therapy), generates Qi and promotes healthy Qi flow when used over specific organs and/or acupuncture channels. This study from the University of Johanessberg South Africa found low level light therapy to increase cellular mitochondria and ATP production (which provides energy to the cells) and "restore homeostasis of stressed cells". Cold laser therapy is beneficial for a wide range of complaints. This study found low level light therapy "significantly increases performance and improves biochemical markers related to skeletal muscle damage and inflammation." Check out our website for links to more research on cold laser therapy and acupuncture. Therapeutic grade essential oils: Can be used in treatment through inhalation (with diffusers or steam baths at home), blended with carrier oils to make liniments, or diluted and ingested with water intake. Chinese Herbs: Traditional Chinese Medicine herbal therapy has been in use and documented for over 2,500 years. Properties of the herbs and the patient’s pattern of disharmony guide formula selection. Pediatric formulas are prepared as vegetable glycerin based tinctures which are very palatable for all patients. Dietary Therapy: In Chinese Medicine, food is the first medicine and establishes our foundation of health (or lack thereof). We educate our patients on foods to eat and avoid based on the little one’s TCM pattern. Trace Element Hair Analysis: Trace Elements is a certified lab in Texas that tests the mineral profile of hair. A hair sample is taken and sent to the lab for analysis. The lab report shows the patient’s mineral profile, points out imbalances, and provides dietary and supplement recommendations to balance mineral profiles. Minerals are essential building blocks for our bodies and need to be in proper balance for all systems to function properly. Our minerals serve as keys to the endocrine system in a sense. Each endocrine gland has a mineral at the core initiating proper function for that gland. Or it doesn't have that mineral, in which case it isn't operating optimally. For the thyroid it's Iodine, the thymus it's Zinc, the testes and ovaries it's Manganese, for the parathyroid it's Calcium, the adrenals it's Potassium. An issue with any of of those glands could simply be the result of a mineral deficiency or imbalance. Many people can actually be causing further imbalances by the supplements they are taking daily. Infants are born with weak Lung, Spleen, and Kidney Qi and if not properly fed and supplemented (if needed), that imbalance leads to further patterns of disharmony (excess in the Heart, Liver, and Stomach meridians). If they don’t get the adequate Qi boost they need through diet (or other Qi supplementing modalities) as children they may deal with greater issues in the future, such as: asthma, digestive issues, ADD & ADHD, bed-wetting, weak immune systems, skeletal disorders, sleep disturbance, emotional upset, the list goes on and on....Incorporating Traditional Chinese Medicine into the lives of your child and family is an investment for a healthier future! There’s no denying vaccines are a controversial topic. I am not going to pitch an argument for either side of the vaccine debate here, instead I want to inform folks about a proposed rule by the CDC that violates our civil rights. The proposed CDC rule would give public health officials power to apprehend and detain people they suspect are sick or could become sick and claim the power to treat them without consent. The terms are vague and open ended, so vaccinations are not the only medication that could be forced, scary stuff! Check out the CDC’s proposed rule which is published in the Federal Register [Federal Register Number: 2016-18103]. After years of studying and practicing Traditional Chinese Medicine, I can tell you that there are natural and effective ways to treat communicable diseases and in many cases to prevent them. I am confident that the natural approach to medical treatment would not be considered during the process of forced detainment and forced immunization and medical treatment. Everyone needs to be given treatment options and the freedom to decline medical intervention. Let the CDC know your thoughts on this proposed rule by Friday October 14th, 2016. They need to hear from everyone concerned about this proposed rule. The CDC must be stopped from overstepping its authority. Send your comments electronically via the Federal eRulemaking Portal. Your session may time out, so write your comments in a word document and then cut and paste into comment box. Be sure to identify your comments by Docket No. CDC-2016-0068 or RIN 0920-AA63. Here is a list of talking points you can incorporate. Thank you for taking the time to read this and for standing up for our civil rights. I plan to write more blogs in the future about vaccinations from a Traditional Chinese Medicine perspective. The beauty of Oriental Medicine is that it can be tailored to suit each patient’s needs. Regardless of your stance on the vaccine debate, Chinese Medicine can support you and your family. Whether you vaccinate or not, Traditional Chinese Medicine will raise the health and vitality of your family. I will demystify that in the future! This proposed CDC rule has made it clear there is a need to present information on vaccines and communicable diseases and dive into the vaccine debate from a TCM perspective. I choose to foster awareness versus fear, I hope you do too! With the hustle and bustle of back to school life, it often seems inevitable that someone in the family gets rundown and sick. It doesn't have to be that way, healthy diet comes first and foremost when looking to boost the immune system and overall wellness. A fundamental principle in Chinese Medicine is that food is our first medicine, and it is also believe there is no single diet that is right for everyone. The best place to start when making dietary changes is eliminating “CRAP” food from the diet. This stands for Carbonated sugary drinks, Refined sugars, Artificial sweeteners, and Processed foods. Once you get a handle on that, work to include these food recommendations (or supplements) into your diet to keep you and your child healthy and vital this cold and flu season. The more adventurous you are with this the better. There are so many options: yogurt, kefir, miso, tempeh, kim chi, sauerkraut, beet kavas, the list goes on and on. Fermented foods are created through lactofermentation in which naturally occurring bacteria eat the sugars and starches in the food and produce lactic acid, omega 3 fatty acids, B vitamins, and other great things. 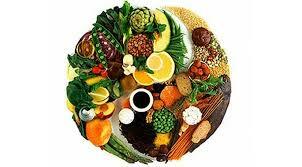 The time spent preparing these foods will be an investment in health and vitality. I highly recommend the book Wild Fermentation by Sandor Katz. This kim chi recipe got me started on the art of fermentation. I modify this recipe a bit and change out the vegetables based on what we have seasonally available. I replace the Korean chili with paprika, I do this for the kids, I certainly miss the spice! 2- Eat Organ Meats & Gelatin. I know I will lose some people on this one. I still have trouble eating organ meats, which is why I choose to supplement with a daily vitamin that contains liver. (Standard Process Catalyn) I try and try to like liver and have tried to eat other organ meats as well. I have not acquired the taste. Organ meats contain vitamins and minerals in quantities you just can’t find in other foods. Gelatin, on the other hand, is so delicious either in the form of fruit squares or bone broth soup. The time it takes to prepare these will be an investment in digestive health. Gelatin is a protein derived from collagen, and it has a large profile of amino acids which are necessary for protein production. It helps form strong cartilage and connective tissue. It can help heal the mucous membrane of the digestive tract and is a great tool to help clear up symptoms of food allergies, leaky gut, and autoimmune disorders. It also promotes skin health, mental cognition, cardiovascular health, and joint health. I could go on and on about the benefits of gelatin. 3- Drink Raw Apple Cider Vinegar. For 2-6 year olds: take 1-2 teaspoons daily. For those 6 & up: 1 tablespoon 1-3 times per day. For those with heart burn, gas, or other digestive complaints, drink 3 times daily. You can add the apple cider vinegar to some warm water and add a little raw honey, it's delicious! Apple cider vinegar is great for balancing the ph of the stomach, it’s helpful when trying to lose weight, and is high in potassium. This is a very cost effective way to promote wellness. 4- Take Fish Oils such as Cod Liver Oil or Tuna Omega 3s. I recommend daily supplementation for this and love Standard Process's line of fish oils. They have a delicious chewable Tuna Omega 3 capsule that kids love! Not only do fish oils contain high levels of omega 3 fatty acids-which fuel the brain and are anti-inflammatory-they also contain high levels of Vitamin A & D to benefit the immune system. Ideally we could get all we need of this amazing food through diet, however, I am reluctant to eat fish more than a couple times a month due to possibly coming from contaminated waters. 5- Eat according to your Chinese Medicine constitutional pattern. You can figure out your Traditional Chinese Medicine diagnosis by consulting with a Chinese Medicine practitioner or by reading up on Chinese Medicine Five Element theory (Between Heaven and Earth by Efram Korngold and Harriet Beinfield). For a good resource on properties of foods, I recommend Healing with Whole Foods by Paul Pitchford, it is an amazing resource for foods and how they relate to your Chinese Medicine diagnosis. My boys absolutely loved this huckleberry lemon gelatin! Megan Dettloff-Meyer and Melissa Graff are Licensed Acupuncturists and Chinese Herbalists who love to share the beauty of Chinese Medicine with those seeking greater health and vitality.